Order Hiding in the Bathroom! Listen to my podcast for intimate and honest conversations about work, life, mental illness, success, failure, social media and social change, patriarchy and more. Hiding in the Bathroom — the podcast — is one of Stitcher's top movers! 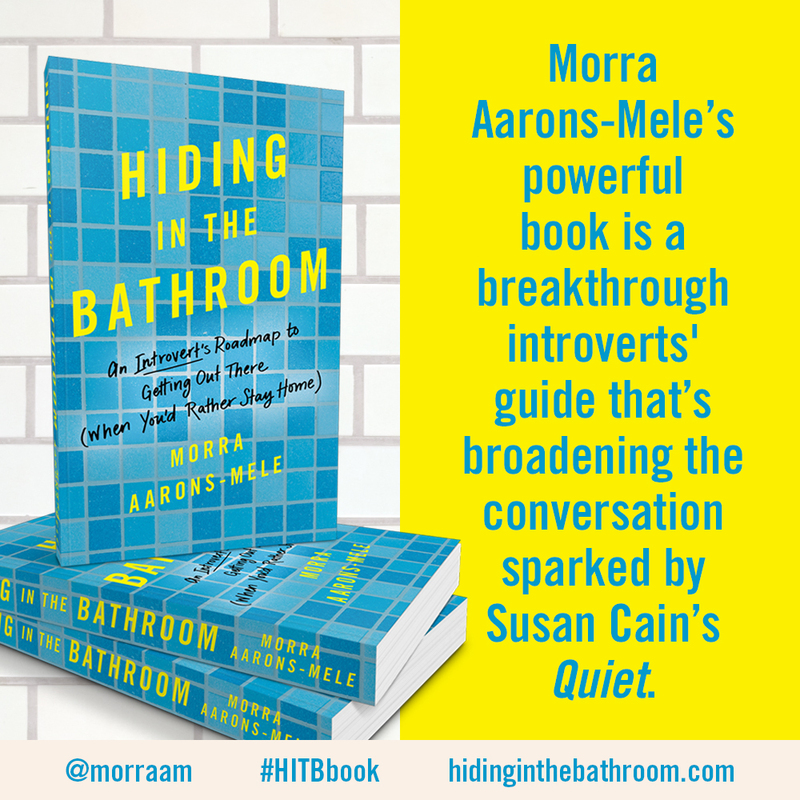 Hiding in the Bathroom a roadmap for ambitious people who struggle with introversion, anxiety, or just crave a little more control over their work lives. It’s for entrepreneurs and executives alike, because if you’re driven and ambitious, conventional wisdom holds that you must network a lot. You must be always on. You must hustle and work 24-7. You must “get out there.” You must have a personal brand. You must put business first at all costs. There is no one kind of successful person. You can be the kind of success you want to be, and you can have a powerful career that sustains you — the real you. If you’re driven and ambitious, conventional wisdom holds that you must network a lot. You must be always on. You must hustle and work 24-7. You must “get out there.” You must put business first at all costs. 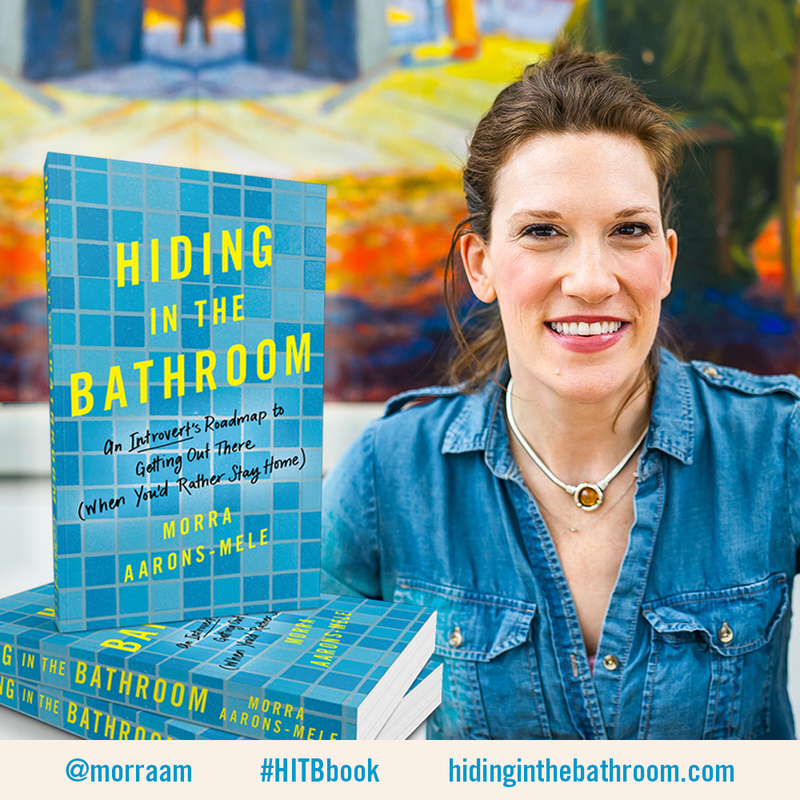 Built on my decade of experience as a “hermit entrepreneur” and over 120 interviews, Hiding in the Bathroom shares skills, effective strategies, and real stories from people who’ve been there, and thrived by defining their own rules. We tackle the sometimes thorny emotions that accompany a big career, and help you create a plan for success that feels great. Want to spread the word to bathroom hiders everywhere? You can download and share these two images: one and two! "Surviving a Professional Conference: Morra's 16-Point Plan" and "Turning FOMO Into a Friend"